We have only had four races this season, but Daniel Ricciardo will use his final engine in Barcelona after a spectacular blowout in Bahrain. The Red Bull driver finished a comfortable sixth at the Sakhir circuit on Sunday, but smoke was seen bellowing from his car moments before he crossed the finish line as his engine gave up. It means he will have to use another new internal combustion engine (ICE) at the Spanish Grand Prix. The Australian also suffered an engine problem during practice at the season-opening Australian race while the team also fitted a new one ahead of the Chinese GP last week. He will be onto his fourth ICE in Spain and any new ones fitted after that will lead to an automatic grid penalty. "All the [post-race] fireworks went off and the engine obviously wanted to join in," team principal Christian Horner. "It failed 200 metres before the line, but thankfully we had enough momentum to coast over the line. I think that the engine will be a coffee table in the future – that's three out of four now for Daniel. He'll be on engine four in Barcelona." 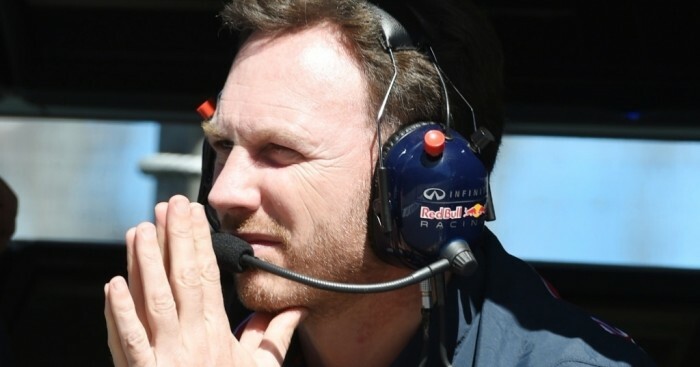 Horner added: "We have had problems in every race so far. I went to Paris between China and coming here, I had a constructive discussion with [Renault's chief performance officer] Jerome Stoll who is the main board member within Renault and they don't want to be in this position. "They want to be in F1 to compete and they want to win, they don't want to be in the situation that they are, so of course that is not going to come for free. He recognises that and Renault seem committed to finding a solution."